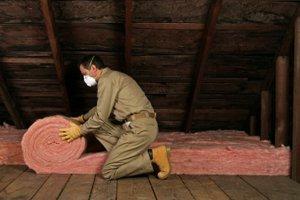 Insulation can save your home hundreds, if not thousands of dollars annually on your utility bills. So how much does batt insulation cost? How Much Does Batt Insulation Cost? Proper insulation can save you a considerable amount of money throughout the year. That is why looking into all the best kinds of insulation for your home is important. One such method is done through the aid of batt insulation. Radiant barrier, batt and roll are a good way to cut down costs on the monthly utility bill, but you need to determine if this is the best course of action financially for you. How Much Does It Cost To Insulate With Batts? Batt and reflective insulation come with different variables and price points. Each of these factors can play a large role in the eventual cost to insulate with batts, so make sure to take each one into consideration ahead of time. Some of the different price points to look for include: square footage required the complexity of the job the cost of labor exterior layers There are a few things to consider before installing batt insulation. Consider things such as the amount of batt required. Consider the costs of labor, which will vary based on the contractor used. Be sure to get several estimates prior to choosing an installer. This will help ensure that the best contractor or team is hired for the job. Square Footage The greater the square feet your contractor needs to cover, the more expensive it needs to be. However, you need to find out how they charge. Some might charge per square foot, some might round to the nearest hundred while others may charge you per roll. Complexity of Job Not all jobs are four straight walls. Some are going to curve with obstructions in the way. All of this plays a part in the difficulty of the job. The difficulty will increase the costs. Cost of Labor Labor cost is most likely going to be your biggest expenditure during the installation. 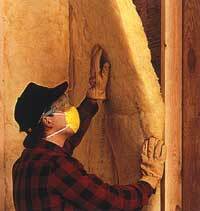 Batt insulation is not terribly expensive and is often looked at as one of the cheapest forms of insulation out there. So, your cost will be directed at the contractors and their employees. Make sure to discuss labor costs with the contractor and find out not only how much it will cost to insulate with batts, but how they charge for labor (hourly or per job). Exterior Layers Many times, the batt insulation is covered by a paper or aluminum layer in order to protect against moisture. It isn\\\\\\\\\\\\\\\\\\\\\\\\\\\\\\\'t a large cost addition, but it will increase the price. Talk to your contractor about this additional layer. Find out first if it is necessary and if it will benefit your insulation and utility costs. Batt Insulation Cost Breakdown The average homeowner spends around ￡1,156 for batt insulation. Now, this does depend on the above-outlined factors, so the price can drop down to a minimum of ￡385. In rare cases, you can spend upwards of ￡2,621. Though this price is heavily influenced by the workforce and square footage size. Thankfully, it is not likely you\\\\\\\\\\\\\\\\\\\\\\\\\\\\\\\'ll need to pay this much. 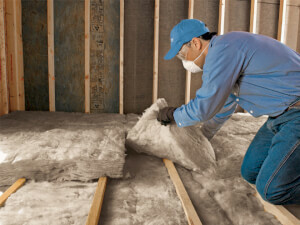 How To Get a Free Estimate If you are looking to move forward with the batt insulation process, you should connect with the best contractors and service providers in your area. To do this, simply type in your zip code in the space provided. It\\\\\\\\\\\\\\\\\\\\\\\\\\\\\\\'s 100% FREE, and there\\\\\\\\\\\\\\\\\\\\\\\\\\\\\\\'s no obligation to purchase or hire.